With Apple solely relying on Samsung for its OLED screens for the iPhone X, the latest analysis states that the deal has turned into a huge cash cow for the tech giant, with the OLED screen price tag stamped at approximately $110 per component for Samsung. The OLED screen is not the only component that Samsung makes for Apple’s iPhone X. Batteries and capacitors are also included in the list and it appears that the tech giant is making more in revenue for making parts for the iPhone X than it is from the parts it makes for its own flagship, the Galaxy S8. 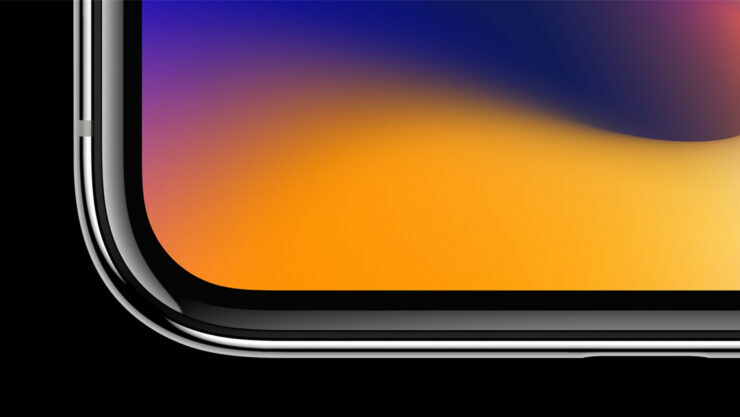 Digger deeper into the statistics, Counterpoint Technology Market Research believes that Apple will sell around 130 million iPhone X units, which will earn Samsung $110 on each smartphone sold through the summer of 2019. If you recall, we reported that Apple might have to rely on Samsung till 2019 because other companies will not be able to provide such an extensive amount of OLED screens that are touting with quality and quantity as per Apple’s standards. As for the Galaxy S8, the flagship is expected to sell around 50 million units globally, earning Samsung $202 each from components such as displays and chips in its first 20 months of sales. In short, the Korean manufacturer is expected to make more money from each iPhone sale than it does with its own flagship sold because Apple’s iPhone X is expected to sell in a much higher frequency. The high price per OLED screen might also be the reason why Apple was forced to increase the base price tag to $999, which is the highest ever for an iPhone. It has not been confirmed if carriers will be introducing their own attractive deals but critics are skeptical over the handset’s popularity thanks to the aforementioned price. Samsung Might Offer Smaller Galaxy Note 10 for Select Markets – Does This Mean a Smaller Price but With More Compromises?